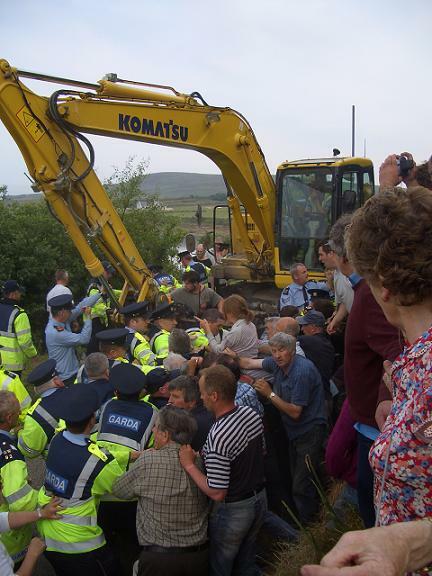 Royal Dutch Shell’s proposed sale of its major share in the Corrib gas field came as little surprise to residents in Erris, Co Mayo whose views are still divided on the multibillion euro project. Energy company Shell has sold its 45 per cent stake in the Corrib gas field to a unit of Canada Pension Plan Investment Board (CPPIB) in a deal worth $947 million (€830 million). Below is a timeline of the controversial gas field’s past. Energy groups behind the controversial Corrib gas field off the Mayo coast are as much €2.5 billion in the red on their investment, as Shell’s move to sell a stake to a Canadian state pension fund has left it with loss of up to €1 billion. The Corrib gas field has left Shell and its partners in the project with losses running to the best part of €2bn to date. Shell announced yesterday it was exiting the project in a deal worth potentially as much as €1.08bn, selling its 45pc stake in the project to a Canadian pension fund, Canada Pension Plan Investment Board (CPPIB). Oil company Royal Dutch Shell lost almost €800m on its investment in the Corrib Gas Field, from which it is now planning to exit. Shell holds a 45% share of the gas deposits off the north Mayo coast but is to sell off its stake for more than €1 billion. In a statement today, it said it had reached agreement with the Canada Pension Plan Investment Board (CPPIB) to sell all of its interests for €1.08 billion. Energy giant Shell has sold its 45 per cent stake in the Corrib gas field to a unit of Canada Pension Plan Investment Board (CPPIB) in a deal worth up to $1.23 billion (€1.08 billion), crystallising about a billion euro of losses on a decade-and-a-half of heavy investment in the controversial project . Shell will take an impairment charge of around $350 million against its current balance sheet valuation of the stake in the gas field off Co Mayo when the deal completes in the second quarter of next years. It will also write off $400 million of losses previously booked to reflect euro-dollar currency fluctuations over the lifetime of the stake. 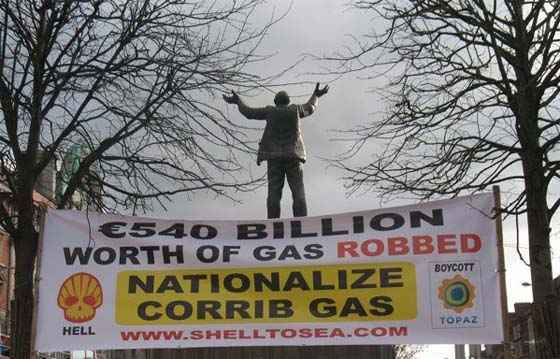 Oil company Royal Dutch Shell is to sell off its shares in the Corrib Gas Field for more than €1 billion. The company holds a 45% share of the gas deposits off the north Mayo coast. In a statement this morning, it said it had reached agreement with the Canada Pension Plan Investment Board (CPPIB) to sell all of its interests for €1.08 billion. The deal means that Shell will no longer have any involvement in the operation of the project.